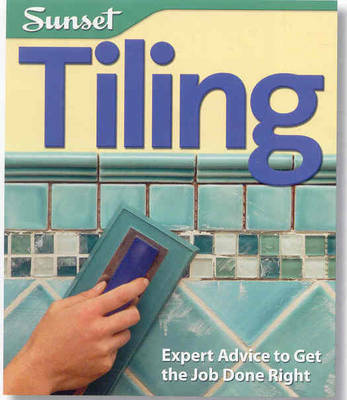 This essential Sunset guide by author Josh Garskof with input from noted tiling experts delivers easy how-to advice on the most popular tile projects - and more. Readers get simple, detailed instructions and clear, how-to photos every step of the way. From the basics of mixing and spreading mortar to doing such challenging installations as laying tile on shower floors, homeowners will learn the tricks of the trade to ensure they save time and money - and do the job right every time.Expert, step-by-step instructions show how to tile floors, walls, countertops, fireplace surrounds, and a variety of outdoor surfaces. Detailed explanations don't gloss over the hard parts as some how-to books do. They just show the easiest way to complete every project - successfully.The book reveals how to tile with different materials, including stone, glass, mosaic, cork, river rocks, and metal tiles. It contains start-to-finish instructions - beginning with how to remove obstacles and prepare surfaces, which needs to be done before installing tile. It also offers tricks of the trade, including tip boxes throughout with the experts' best secrets.